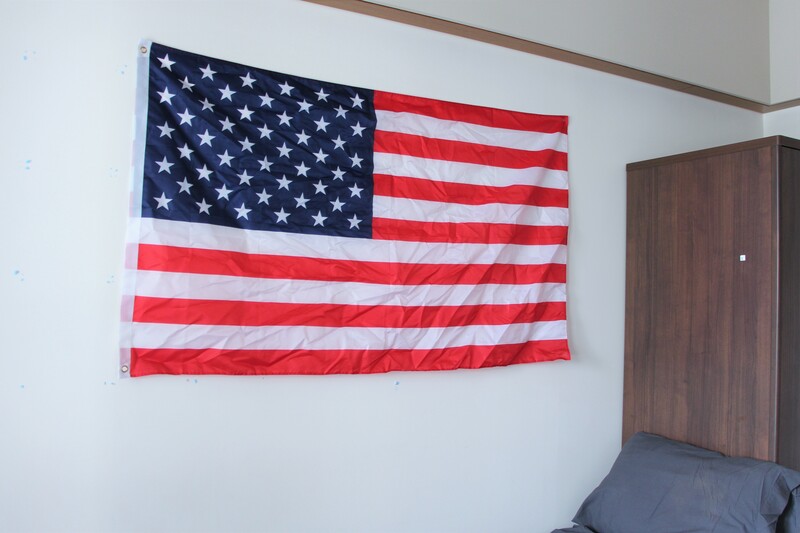 Around the start of the semester, there was an American flag hanging very visibly from the side of tower B of Saga College. It quickly became a funny spectacle for some, and a point of controversy for others. In case you are wondering, that was my flag. I personally received very little grief for it, but one of my fellow Americans in Saga College was falsely rumored to be the one who had hung the flag, and multiple people questioned his intentions. Yale-NUS College is home to many people whose countries have been directly affected by the foreign policy and military actions of the United States. With this in mind, it is inevitable that some view the American flag in a negative light. No matter its many faults and mistakes, I still value the prosperity, personal freedom, and dynamic culture of the United States, which has given myself and many others the privilege to explore our interests and achieve our goals. Above anything else, hanging the flag was a symbol of gratitude. Whether or not it is appropriate to hang an American flag out a window at Yale-NUS College is an interesting topic of debate. Unfortunately, it is an irrelevant one, as public displays of national emblems are illegal in Singapore. Hanging any national flag out a window (except a Singaporean one, in a certain time period surrounding National Day) runs one the risk of incurring a $500 fine and/or imprisonment for 6 months. Now that’s a risk that most are not willing to take. I believe that my legal obligation to take down the flag reflects certain values in Singaporean society; values that most international freshmen, like me, are not yet too familiar with. For example, not too long ago, I had an interesting conversation with some members of the Yale-NUS College administration, who explained to me the non-confrontational nature of Singaporean society: how people do not usually call one another out for acting uncouth or offensive. Singaporean laws (like the one that bans my flag-hanging), government incentive programs (like those that encourage young people to take care of their elderly relatives), and racial quotas (like those in the housing and public sector employment) clearly lay out what is considered acceptable and unacceptable in Singaporean society. As such, government regulations would prohibit me from hanging the American flag by law even if it is likely that individuals would not confront me personally for this “offensive” behavior. On the contrary, in the United States, if someone had an issue with my flag, it is likely that he or she would verbally confront me about it. I would then make a choice of my own volition whether or not to leave it up. Moreover, in the United States, flag-hanging is incredibly common. I can find Mexican flags, Chinese flags, gay pride flags and many others decorated throughout my hometown of San Francisco. As an international who had just arrived into Singapore, I did not understand fundamental Singaporean societal values or how they are enforced. While I would have liked to keep my flag up, the disrespect that it would have incurred against my host was far more important than any satisfaction I would have gotten. To try and prevent similar situations from happening in the future, I will continue having meaningful conversations with my Singaporean classmates, and through this way familiarize myself with the laws of the land, and the nuances of local culture. For internationals whose cultures are somewhat similar to Singaporean culture, acclimating to the nuances of Singapore may not be an issue, but for me it will personally be a constant struggle. Among other things, I relish a good political debate, and often like to use harsh, confrontational language. Obviously, such mannerisms would be considered inappropriate in the larger Singaporean context. As a guest, however, I feel it is my duty to shape myself to fit into Singapore. My original conception of Yale-NUS was skewed. It was not until after my incident with the flag that I really started to consider Yale-NUS in its Singaporean context. Before this, I thought of Yale-NUS as a liminal space with a “liberal arts education,” “50+ different nationalities” and “In Asia, for the world.” I neglected to consider it as a Singaporean public institution, nor did I think of the fact that the student population is sixty percent Singaporean. So while Yale-NUS is to an extent this magical multicultural place, it is still very much embedded within Singaporean culture. Just like how Singaporeans should consider how internationals feel when they leave campus on weekends (as discussed in “Make Yale-NUS Our Home Again”), internationals should consider the feelings of Singaporeans before they take actions that may not be acceptable in the Singaporean context. Furthermore, as internationals, our lives do not exist only in a Yale-NUS bubble. Once we step off campus, we are subject to very different expectations. For example, while on campus, we are encouraged to discuss politics, race and other controversial topics as we please, while off campus, carelessly discussing such things has serious potential to offend. When I step off campus I want to be respectful towards my surroundings, and to cultivate a good image for both Americans and Yale-NUS College. I believe that the best way that I can do this is by assimilating into Singaporean society as much as possible. Ultimately, I want my time in Singapore to be as fruitful as possible, which means proactively shaping myself to fit into Singaporean society. A flag may represent me, but my actions will define me.